It was April 3, 2018, when the TNT Katropa traded Mo Tautuaa and a bunch of picks to the GlobalPort Batang Pier, in exchange for Terrence Romeo and Yousef Taha. This was supposed to be a new start for Romeo, a chance to play for a winning franchise after being with GlobalPort, a team that struggled to even sniff the semifinals. There was plenty to process with the trade, but the most talked about topic was how Gilas guards Jayson Castro and Romeo were going to pair up in the PBA. It was a duo many called the new age version of Blur and Mighty Mouse Jimmy Alapag, one that brought TNT multiple championships during the early part of the decade. On paper, the fit between Romeo, Castro, and the rest of TNT looked one to one. It was important to recognize the roles both players would have within the team. The idea was, in TNT’s dribble drive system, Castro would still be the primary initiator, while Romeo would play as the secondary ball-handler who could run as lead guard in spurts with bench lineups. It looked like a good fit, one that would bring the KaTropa back on the map as a power to watch out for. To Romeo’s credit, he was able to produce during his time with the KaTropa. 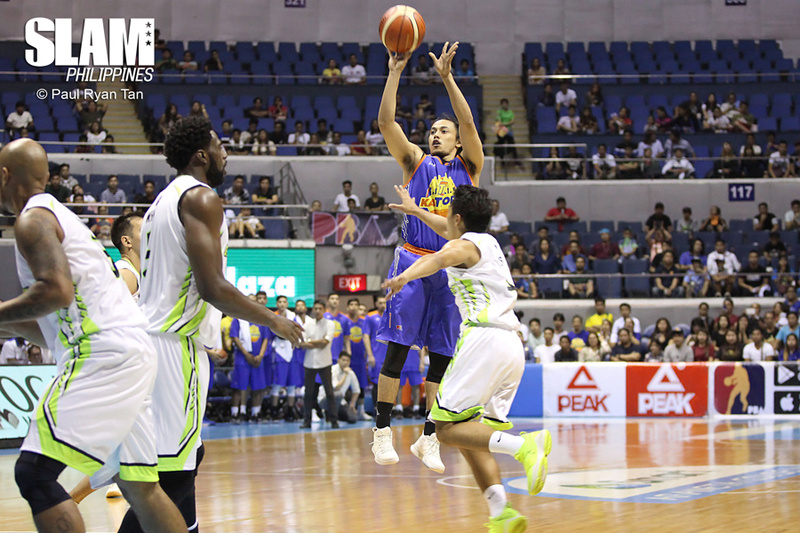 During the Governors Cup, he ranked second in scoring among locals (21.4 PPG), while dishing the ball as a lead guard for TNT (5.2 APG). Castro may have regressed a little, but he was still able to put up respectable numbers nonetheless (14.5 PPG, 5.4 APG). Yet, things felt off within the franchise, and it showed with how the team played. They were disappointing for the most part after the trade went down. In the two conferences Romeo was with TNT, the team failed to advance past the quarter finals. During the Governors Cup, the KaTropa couldn’t even make the playoffs, losing seven of their 11 games, including two blowouts versus Alaska and Phoenix. While production between the duo was topnotch, it wasn’t anywhere close compared to the Blur-Mighty Mouse duo they were being compared to. Tension was also at an all-time high, with rumors of trading Romeo swirling around basketball circles as they struggled. Come December 19, 2018, Romeo was involved in a trade once more. He was sent to the San Miguel Beermen, in exchange for David Semerad, Brian Heruela and a 2021 first round pick. The pure excitement that was felt in the air seven months ago was nowhere to be found. What replaced the excitement were questions, about fit and about Romeo himself. It was easy to understand the hesitation from Beermen fans regarding Romeo. One thing to consider with this trade; It was a straight up swap between teams from rival companies, MVP and SMC. TNT wouldn’t have agreed to such a deal with no reason, and that’s where the worry starts from the side of the defending Philippine Cup champions. Multiple reports have painted a picture of Romeo not getting along with his teammates. Age-old descriptions were used, such as how he was a ball hog, and reportedly demanded the offense run through him. Some of these, we need to take with a grain of salt considering the anonymity of these statements. Yet, we don’t need reports to understand Romeo does indeed need the ball a lot in his hands, and sometimes to a fault. It’s simply how Romeo is as a player. Ever since High School he’s been a ball-dominant guard. The problem isn’t him being ball-dominant. The issues lies in how he utilizes these skills within the setting of team basketball. The main problem with Romeo’s ball-dominance is his penchant for taking too much dribbles. While dribbling the basketball often creates plenty of highlight plays, there’s even more beauty in basketball that relies on movement and passing rather than pounding the rock only to end up with a step back three. While Romeo was credited with an assist thanks to Troy Rosario making the three, it wasn’t exactly a set play that came off good action. It was a bail out pass more than anything else. Since Romeo couldn’t create separation off the isolation, he had to pass the ball to Rosario with the shot clock winding down. Rosario made the shot, but Phoenix was able to still defend the attempt. It’s those plays that make the difference between quarterfinal participant, and championship contender. You can’t make those plays all the time if you want rings. You need to stick to the system in place, so you’re able to keep your offense chugging over the course of an entire conference. The San Miguel Beermen have just that. While they haven’t achieved the elusive Grand Slam yet, there is zero doubt about their status as championship contenders. Four straight Philippine Cup championships, and just one Finals loss over the course of this run. This is this era’s greatest dynasty, and things may become even better with Romeo coming in. This is where the excitement comes in. Even with all his baggage, Terrence Romeo is a MONSTER level talent that any team would want to have. He’s cemented himself as one of the best players in the league, arguably even grabbing the title of best pure scorer in the PBA. You add him to an already loaded Beermen team, and you have a team that looks like it came out of a custom lineup in NBA 2K. The Beermen will likely stick to their usual starting five of Junemar Fajardo-Arwind Santos-Marcio Lassiter-Alex Cabagnot-Chris Ross, which then places Romeo in the bench along with Christian Standhardinger. (Take some time to let that settle in. Standhardinger and Romeo both key contributors to the National Team, playing off the bench. Ridiculous.) Both players have played with each other in the National Team, and it’s showed with their chemistry during practices, and scrimmages. Versus the Blackwater Elite in a tuneup game, San Miguel ran a lot of pick and roll between Romeo and Standhardinger. This is the perfect kind of setup for a bench unit with these two players, as Romeo is at his best when operating with the ball in his hands, while Standhardinger has been adept at finding opportunities off the ball. Switch off the action, the opposing guard has to defend a rumbling Standhardinger. If you go under the screen, leaving Romeo open for a rhythm pull-up is a problem. It has to be repeated: This is going to be a bench unit with Romeo and Standhardinger. And it isn’t like the rest of San Miguel is to be scoffed at. We could be in for some special stretches with this group. The loss that really hurt for the Beermen was Game 6 of the 2018 Commissioner’s Cup Finals versus Ginebra. Ginebra controlled the pace of the game during their third quarter burst. The term many fans used to describe that stretch for their team, naubusan ng gasolina. The age of the Beermen started to show itself. While Fajardoi did Kraken things and tore up anyone who was in his path, he was only one player. Lassiter was hitting blanks. Ross could not get comfortable from three. Santos started to look like a 37 year old. Cabagnot looked like a step slow. Age will continue to hobble the Beermen over the course of this season, as Cabagnot and Santos are two of the older players in the league. Yet, the addition of Romeo adds not just a scoring punch to the Beermen, but some semblance of youth. He is just 26 years old after all, something that may surprise many because of how productive he’s been during his short stint as a PBA player. Those stretches like Game 6 of the 2018 Commissioner’s Cup Finals will come again for the Beermen. Cabagnot and Santos won’t hit the same shots. As a result, defenses will stick more to Lassiter, and to an extent, Ross. Sometimes, no matter how good you are as a basketball team, you need that guy to just give the ball to when all else fails while telling him, “Create something for us, and get us out of this rut.” The Beermen may have finally found their answer, in Romeo, who knows a thing or two about shot creation. There’s plenty of reason to be excited if you’re the Beermen. While losing championship pieces in Brian Heruela and David Semerad hurt, you make trade 10 times out of 10 if you get a talent like Romeo. Yet, despite Romeo being just 26 years old, there is this sense of urgency when talking about him. This isn’t a clock that’s to tell him his time is up as an elite individual talent. He has plenty of years to showcase his ability. He is still years away from his prime. What is slowly ticking, however, is whatever hope fans have of him as a talent who can truly produce for a championship level team. Here’s the painful reality of Romeo: he isn’t known as a winner. With GlobalPort, he only made the semifinals once. In his short stint as a KaTropa, he only came up with only a single quarterfinals appearance. This fact should worry San Miguel fans the most. What if he hogs the ball again, and creates rift within the team? What if he doesn’t accept his role as leader of the bench mob? Will he get along with eccentric personalities like Arwind Santos? The worries of fans are certainly valid. This is a 26 year old franchise level talent who just got traded to his third team, something quite rare in any level of basketball. Yet, it must be understood, this is a completely different circumstance Romeo finds himself in compared to how it was in TNT. With the KaTropa, he was expected to raise the level of a franchise that hadn’t won a championship since the 2015 Commissioner’s Cup. This time around with the Beermen, there aren’t visions of a duo that would bring back the glory days of a franchise. The Beermen are in their glory days right now. Romeo just has to blend himself in within whatever system the Beermen have in place. It’s worked for the last four years now. There’s no reason to believe they’ll go away from their tried and tested formula just to cater to how Romeo plays. He can’t demand the offense to run around him, that’s not going to be his role. This is Fajardo’s team, the four-time MVP who could very well be on his way to capturing the award for an unprecedented fifth straight time. There will be plenty of low post seals, with the ball swinging around with Fajardo as the fulcrum of their offense. It isn’t exactly Romeo’s cup of tea, but there is reason to believe he can blend himself in within that kind of system. 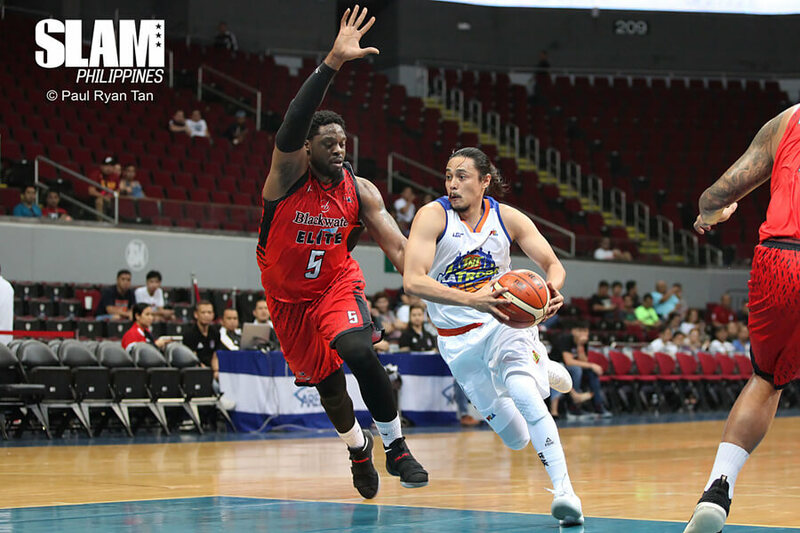 Questions are aplenty, but there’s really only one player who can answer all of those; Terrence Romeo, by winning a ring, or better yet, multiple ones with a San Miguel Beermen franchise hungry for a Grand Slam. Only then can he smash the clock that’s ticking right now against him, and prove himself as the elite winner many hoped for him to be when he entered the league.